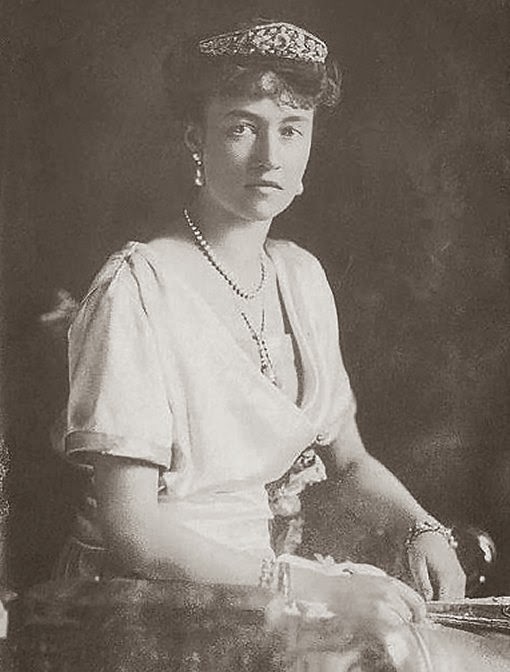 Can you identify the jewels worn here by Grand Duchess Charlotte of Luxembourg? 1. Cropped version of a picture postcard in the public domain due to age; source here.